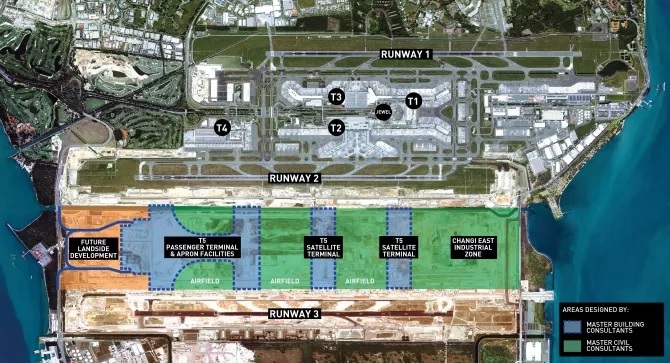 SINGAPORE, 2018-Apr-16 — /Travel PR News/ — Changi Airport Group (CAG) today announced the appointment of the Master Building Consultants, comprising three teams, that will provide architectural design and engineering consultancy services for the development of Changi Airport’s Terminal 5 (T5). It also announced the appointment of the Master Civil Consultants for the T5-related landside and airfield works. This entry was posted in Airports, Travel, Travel Management and tagged Changi Airport, Changi Airport Group, Master Building Consultants, Mr Yam Kum Weng. Bookmark the permalink.